'Diesel Trains - A Diesel Train on the Shore of Basenthwaite Lake, near Keswick, Cumberland'. Poster produced for British Railways (London Midland Region) to advertise their diesel trains. 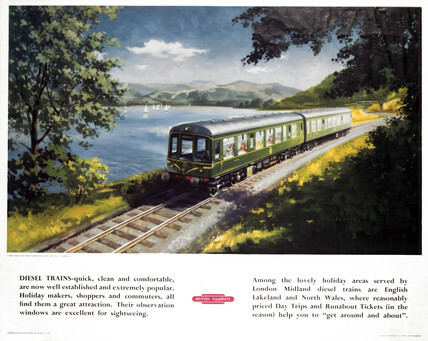 Illustrated with diesel train, a lake and hills in background.